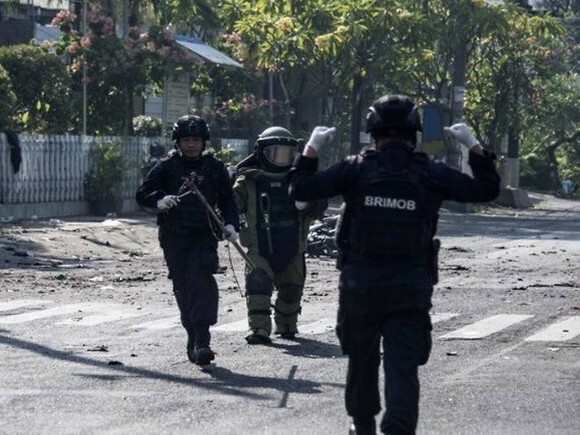 Indonesian police killed four terror suspects in Cianjur regency of West Java province on early May 13, saying they had planned attacks in the capital city and Bandung city. The incident happened amid security being tightened across the archipelago nation due to fears that terror and militant groups would undertake attacks in the time Muslims in the world's largest Muslim-majority country prepare to begin their Ramadan month this week. A spokesperson of Indonesian police said those killed terrorist suspects were members of Jamaah Ansharut Daulah (JAD) terror group. They intended to launch series of attacks on police stations, police on duties in Jakarta and Bandung and also police mobile brigade headquarters in Depok, West Java. Those four terrorists were killed in a shoot-out with police in a Cianjur bus terminal. Police had been tailing them from the province's city of Sukabumi. Fire arms, bullets, bows and arrows were confiscated. Meanwhile, the three consecutive bomb attacks on three churches in Surabaya, the capital city of East Java province, also on May 13 had killed at least 11 and injured 40 as of the afternoon.